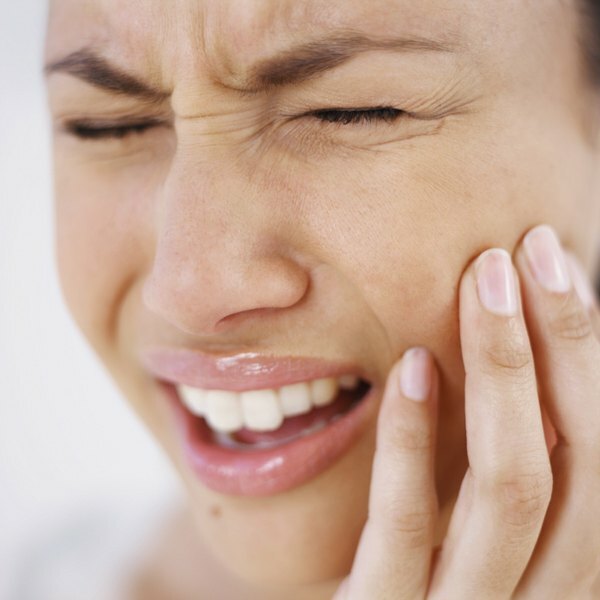 A face swollen from a toothache occurs when facial and oral tissues become inflamed due to injury or infection. Your facial swelling may be accompanied by severe, throbbing pain, or pain may be dull or absent. Your facial swelling also may be accompanied by redness and warmth. You need to treat your facial swelling because if you do not, it may affect your ability to speak and eat. Here are steps you can take to relieve a swollen face from a toothache. See your dentist. Your dentist will determine the cause of your toothache that is causing your face to swell. He will visually inspect your mouth and teeth and may take an X-ray. Treatment will be based on your dental evaluation. Take an anti-inflammatory medication. Taking an over-the-counter anti-inflammatory medication will reduce a swollen face from your toothache. It will also alleviate your pain. Take antibiotics. Your toothache and swollen face may be caused by an infection of your tooth or gums. When your infection goes away, your swelling will go down. Take all your antibiotics to make sure your infection completely resolves. Use ice. Apply an ice pack to your swollen face. The ice will reduce swelling and minimize your toothache. Do not apply ice directly to your skin. Wrap ice in a clean cloth or use an ice bag or commercial ice pack. A package of frozen vegetables makes an effective ice bag. Ice your face for 20 minutes, four times daily. Get your tooth pulled. If your tooth is infected or damaged, you may need to have it extracted. When the tooth is removed, your pain and swelling will be eliminated. Avoid lying down. Lying down increases facial swelling because it causes fluids to collect in your facial tissues and eyes. Prop yourself up on pillows when you go to sleep. If your facial swelling is accompanied by fever, chills, increased pain or difficulty opening your mouth, call your doctor or dentist. You may have a severe infection that needs further treatment.